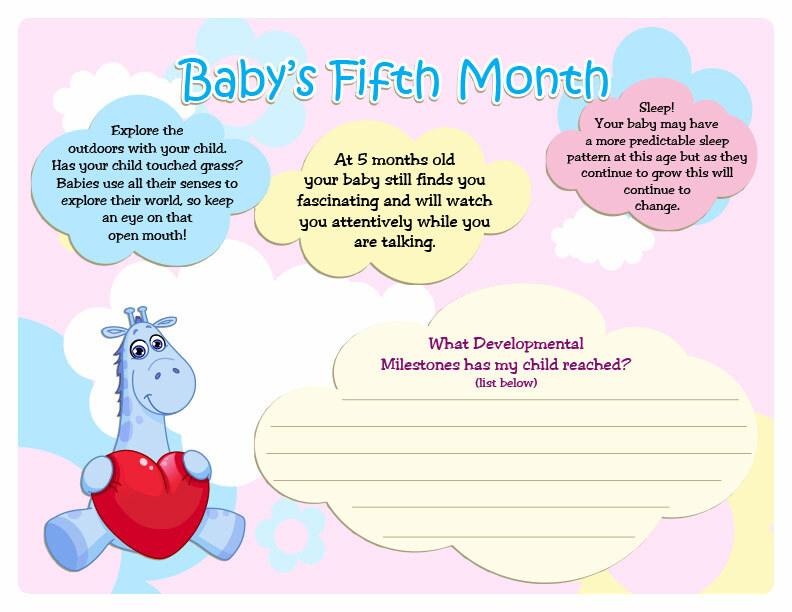 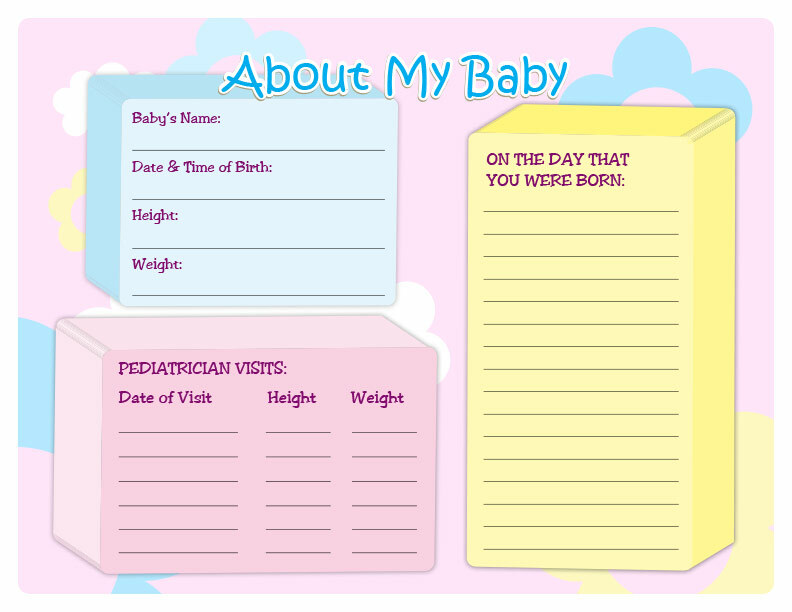 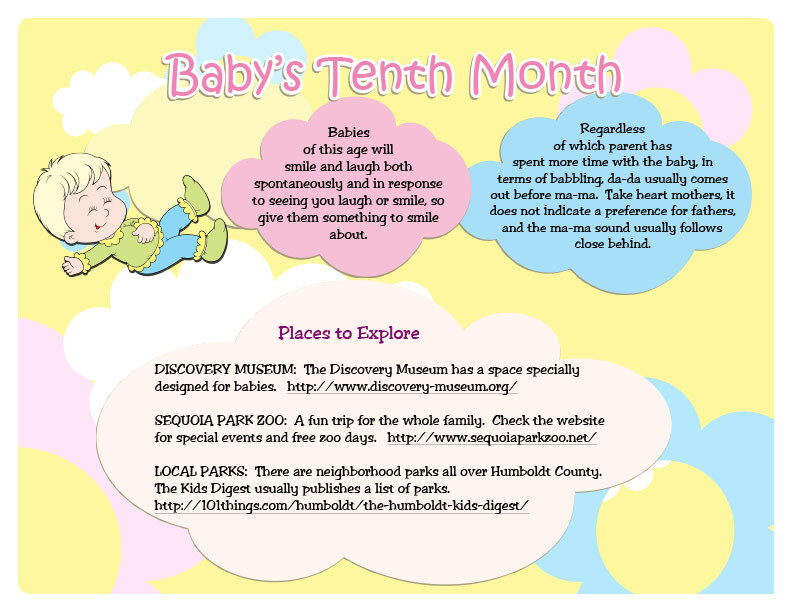 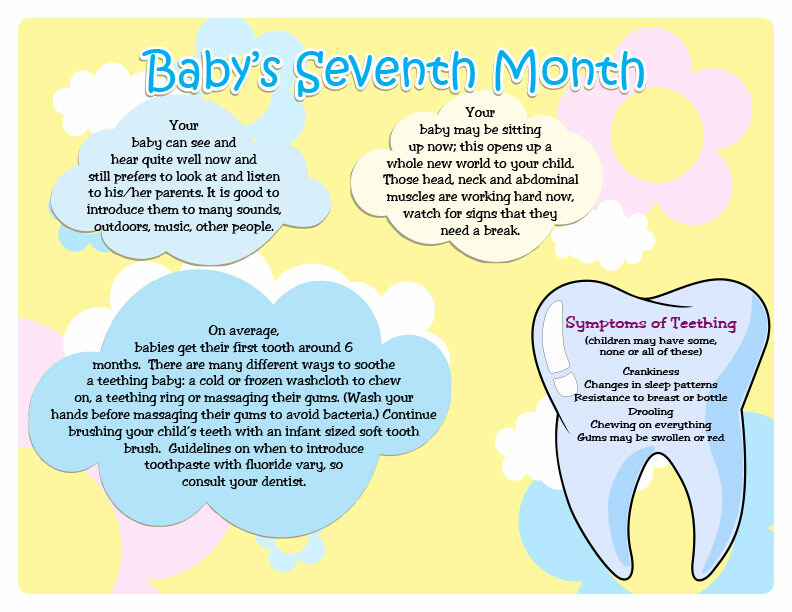 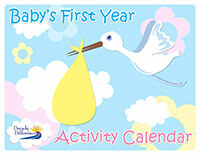 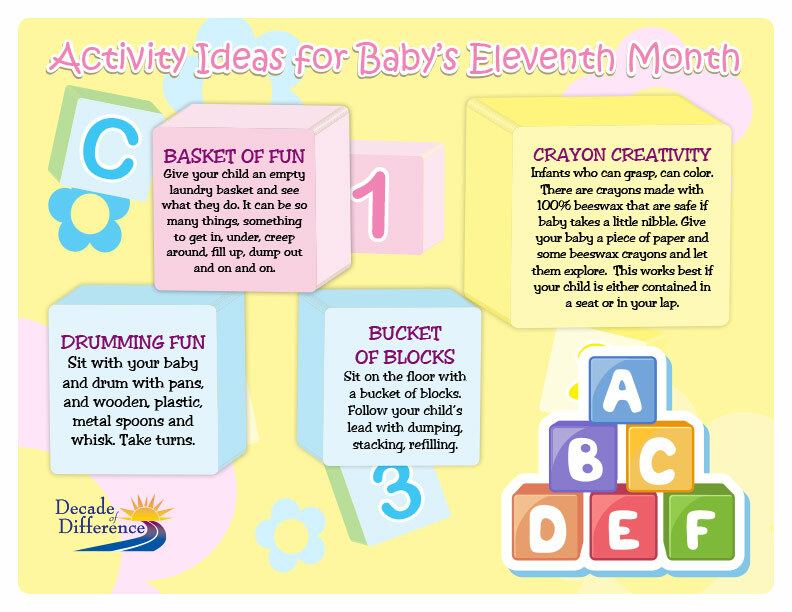 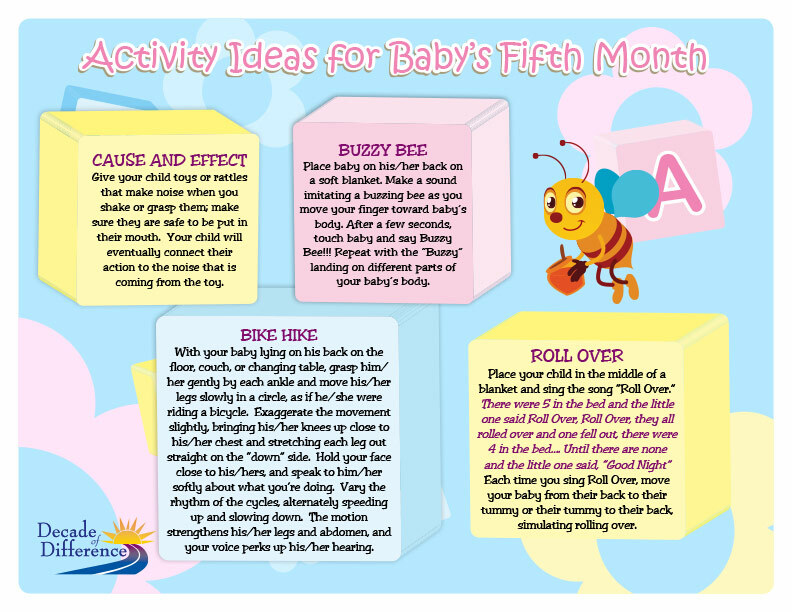 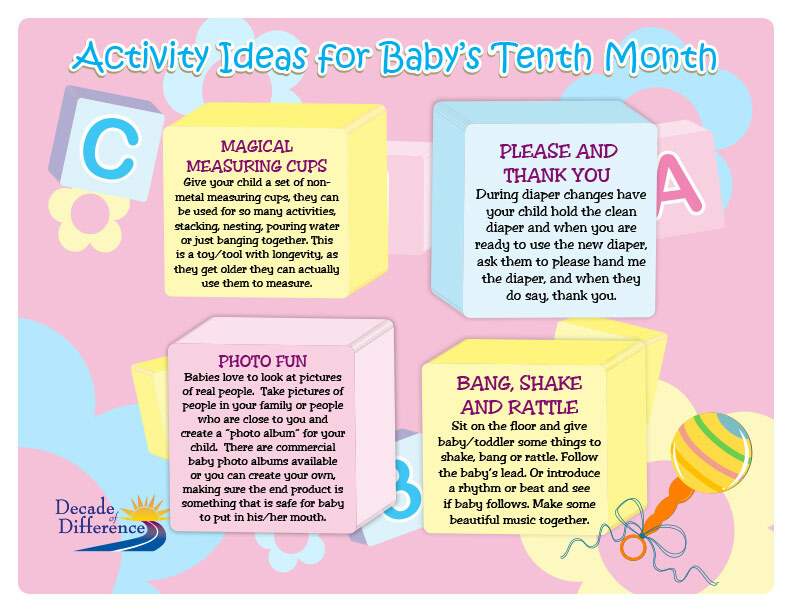 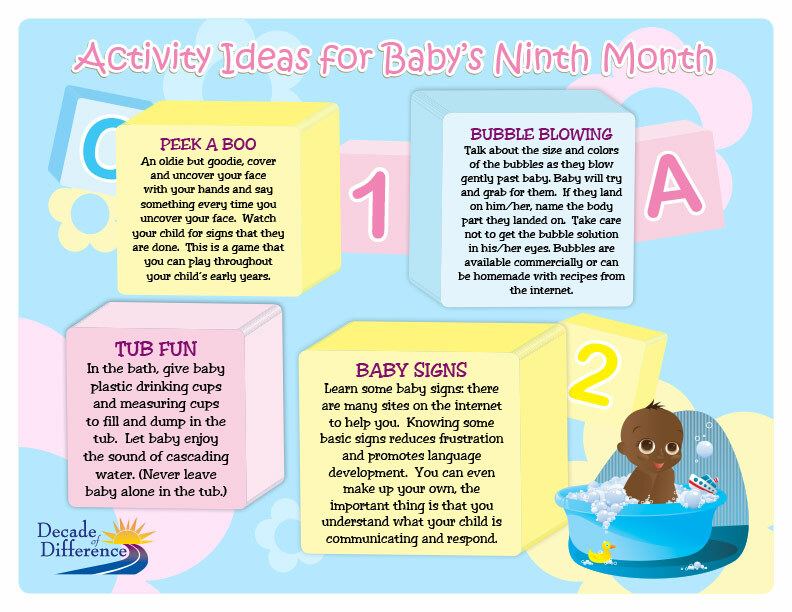 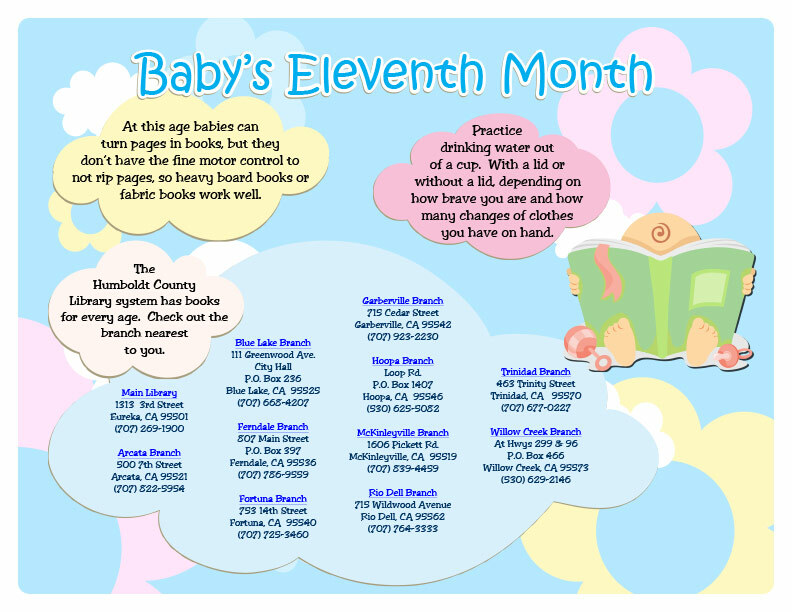 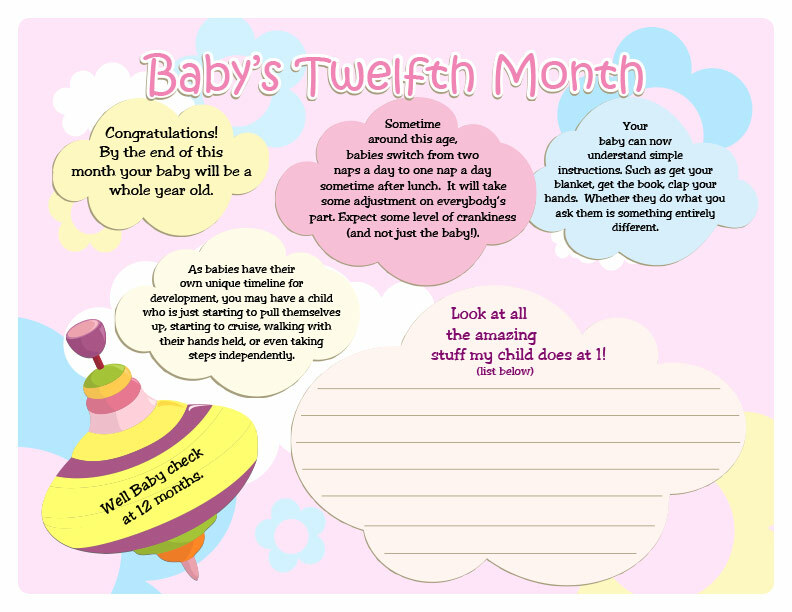 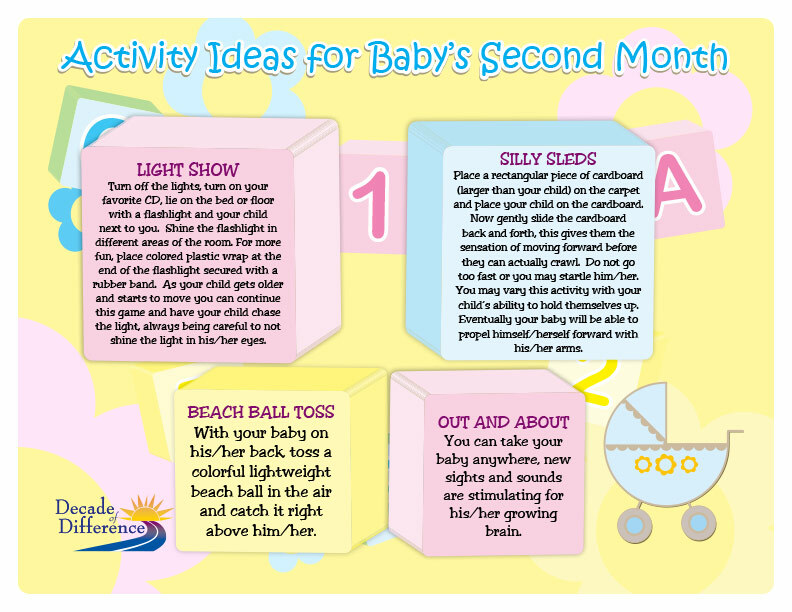 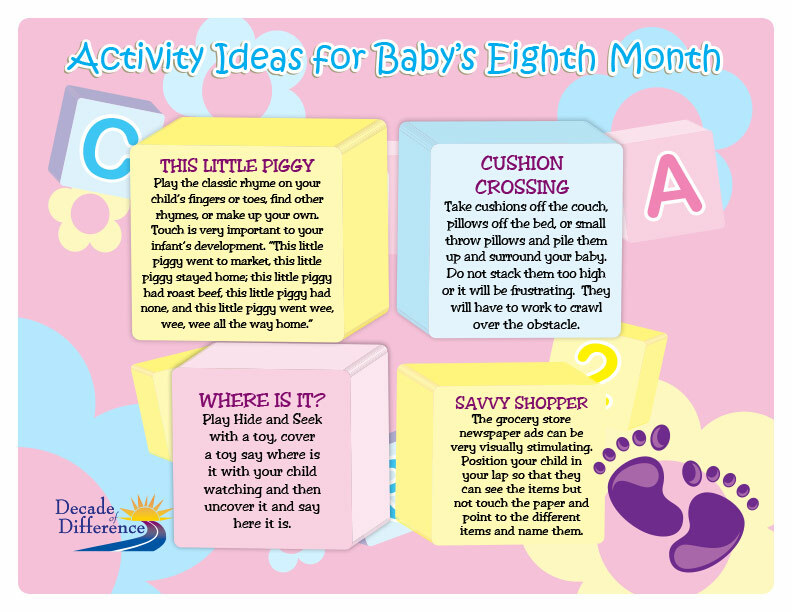 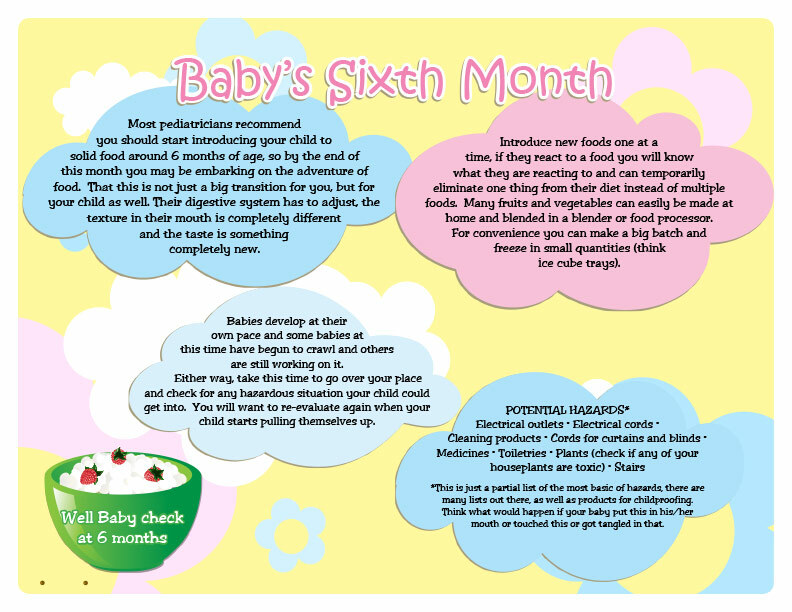 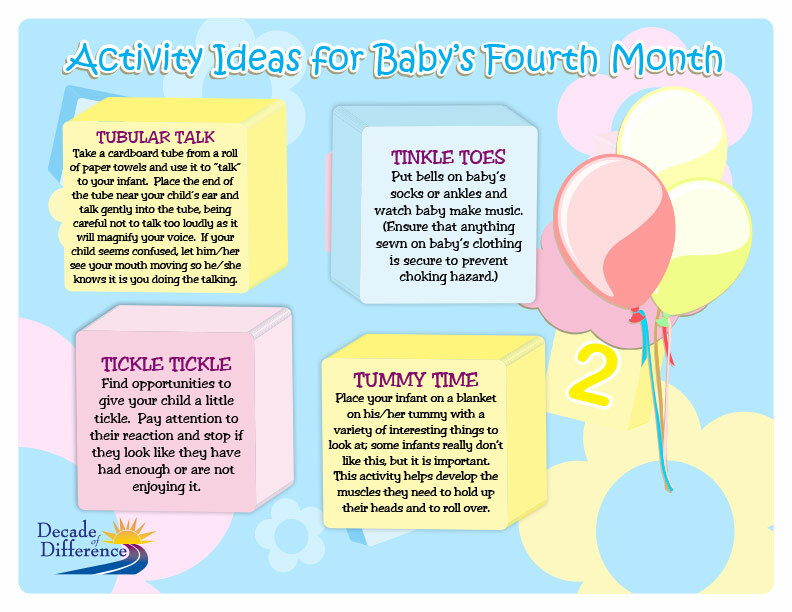 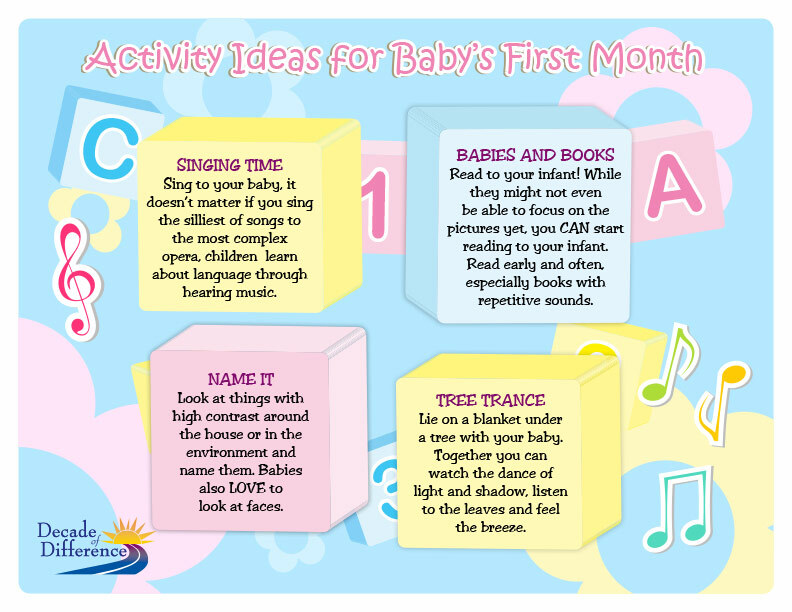 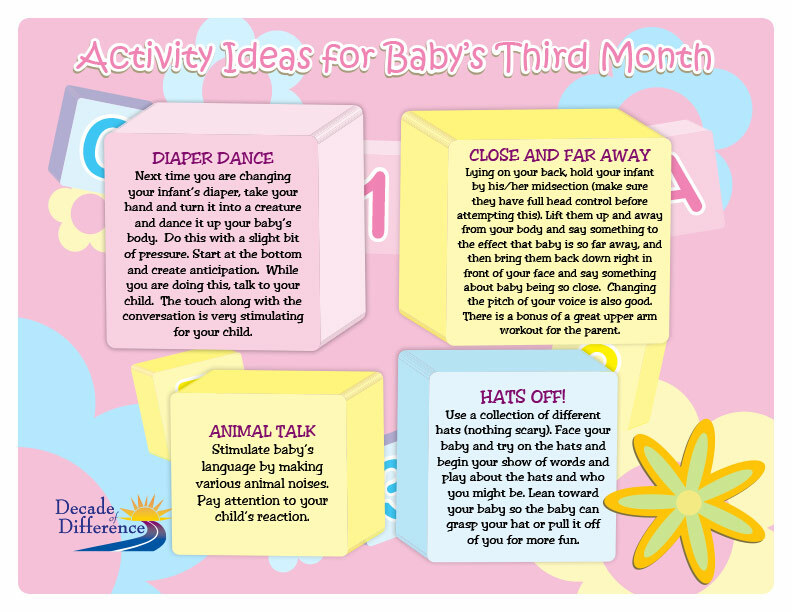 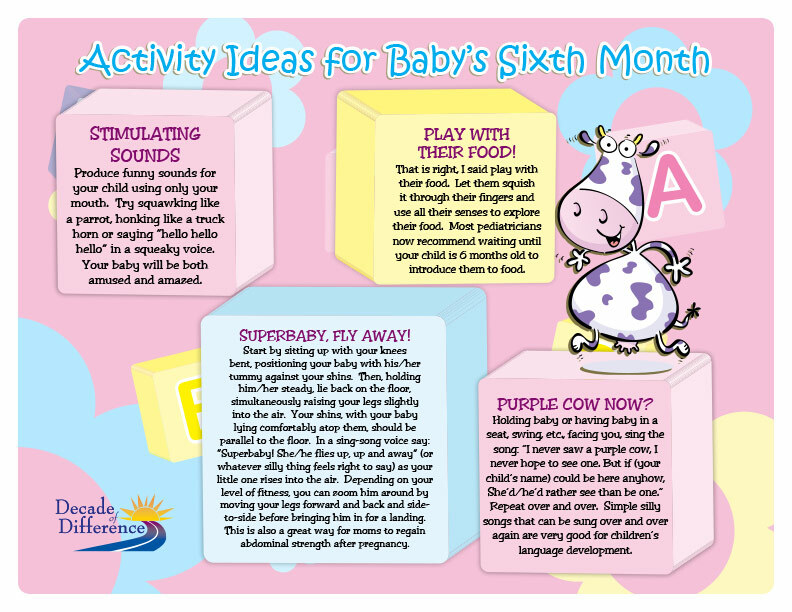 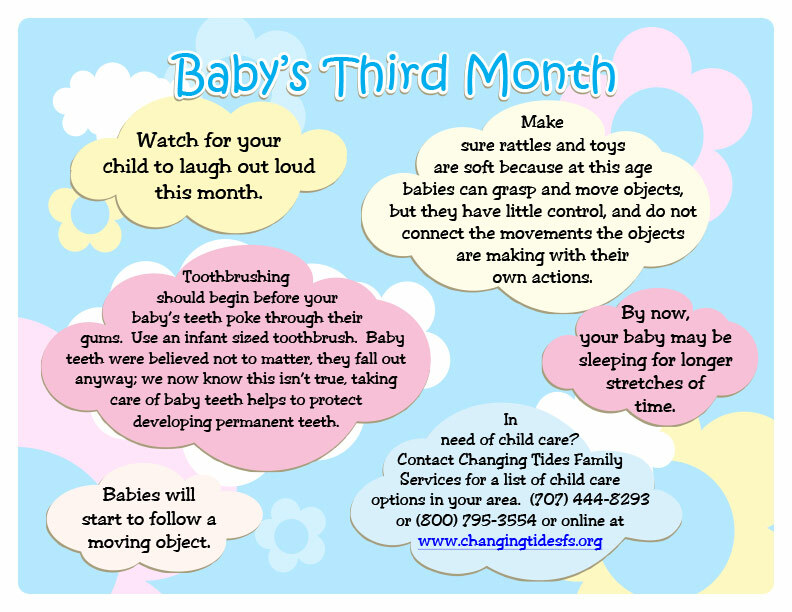 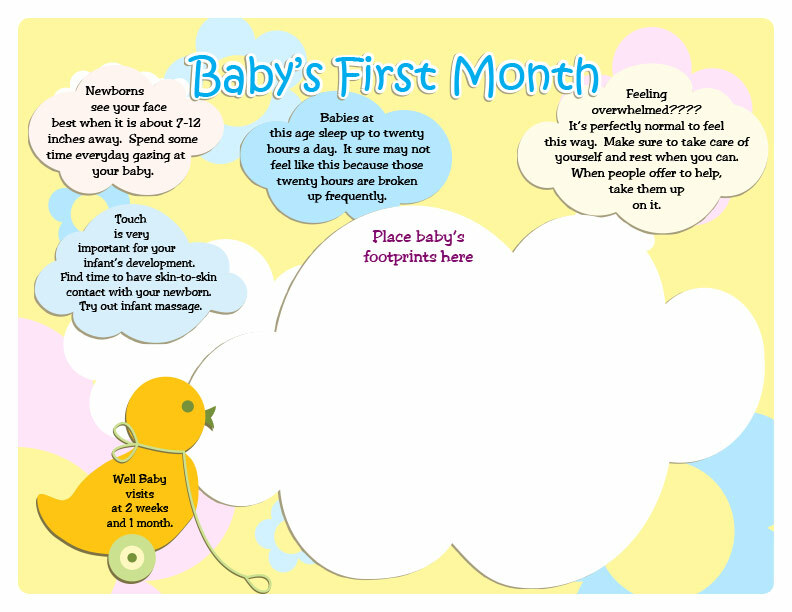 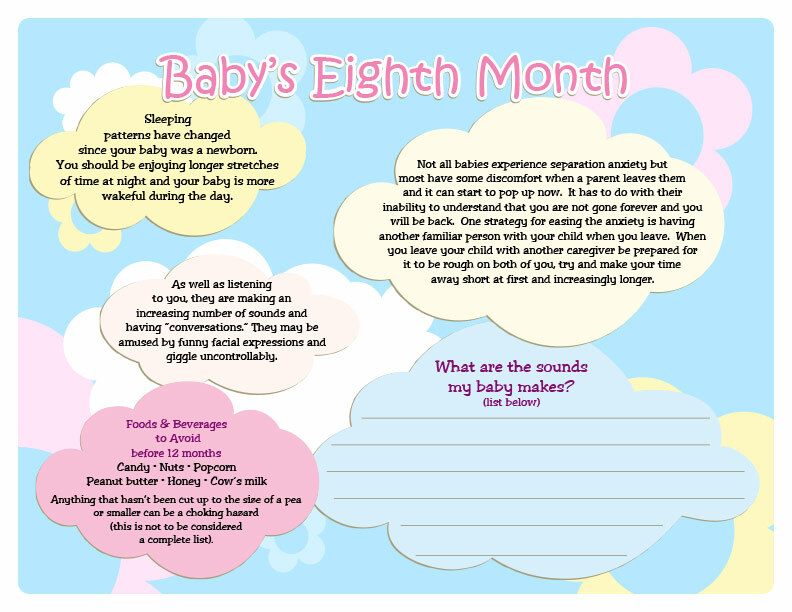 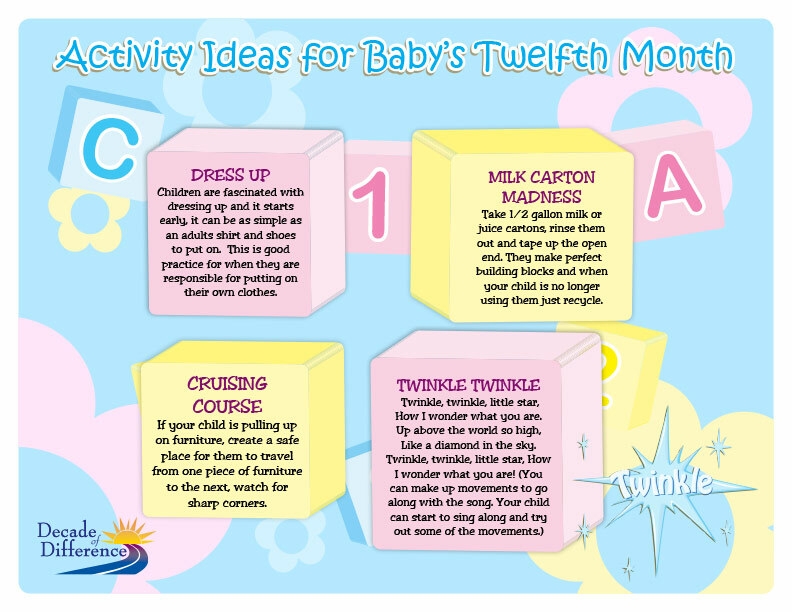 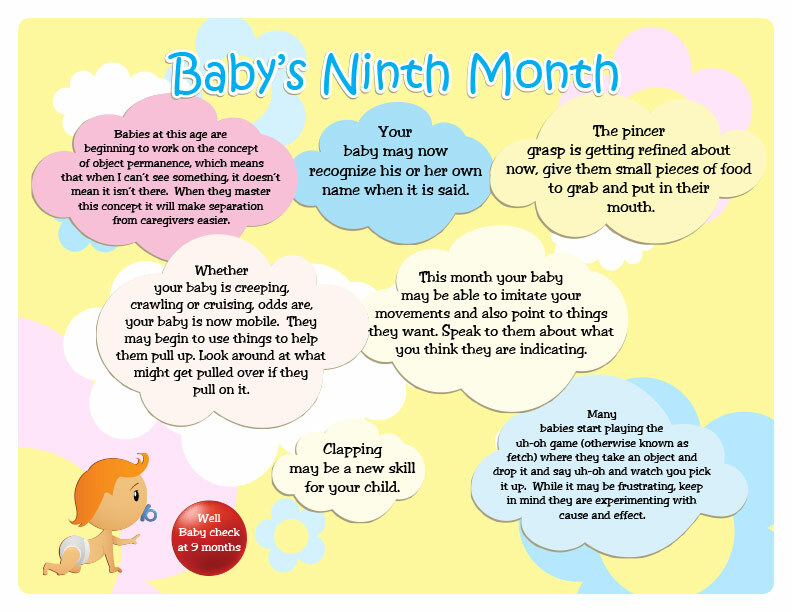 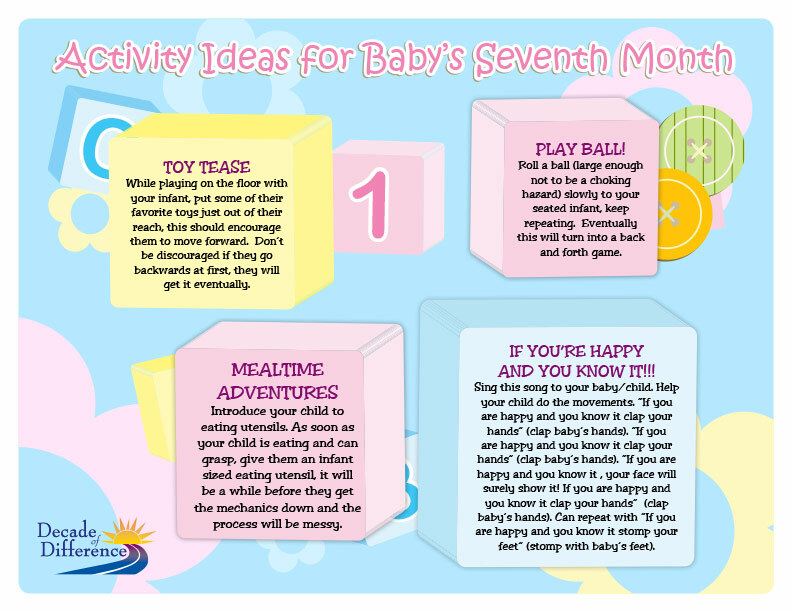 The Baby's First Year Activity Calendar was developed as a resource for parents. 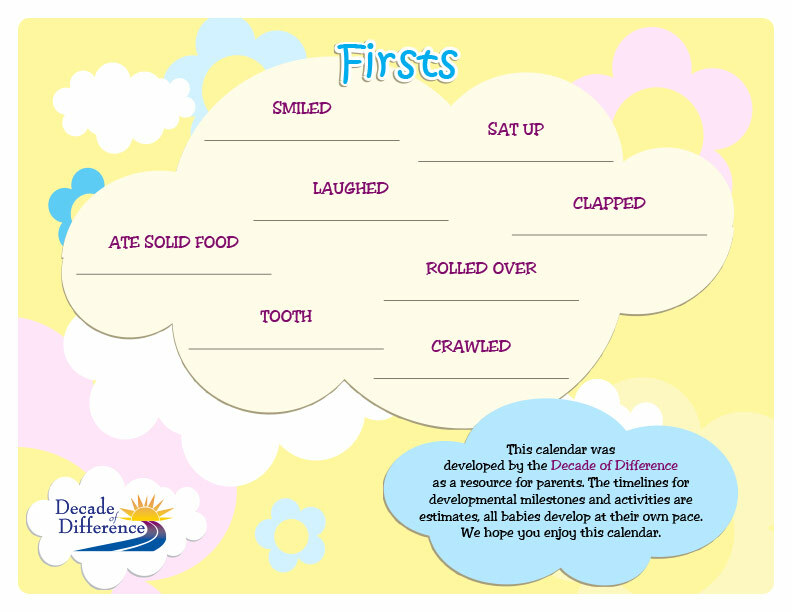 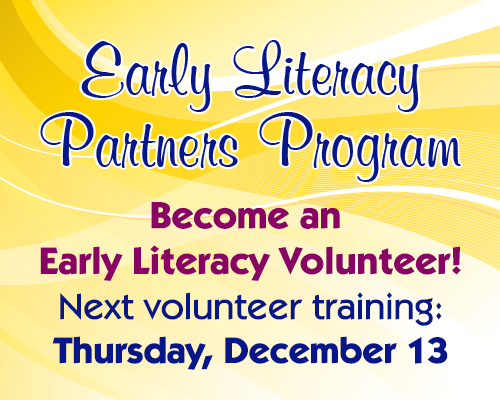 The timelines for developmental milestones and activities are estimates, all babies develop at their own pace. 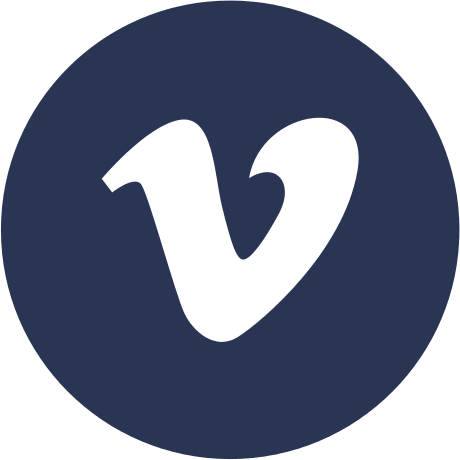 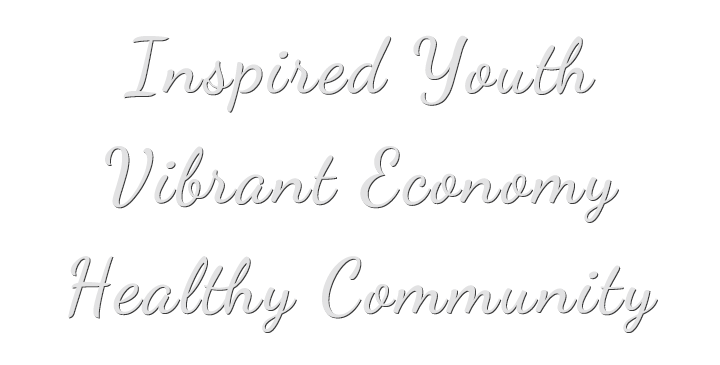 Click on the image at left to see it!